It took almost 70 years for drunk driving awareness to become a powerful social movement and 90 before the government enacted a national standard for BAC levels. With all our knowledge today, doesn’t that seem outlandish? New York was the first state to ban drunk driving way back in 1910; however, it was equivalent to some state’s modern policies of driving while high–no standard for intoxication. It wasn’t until 1938 when 0.15 became the first commonly-used BAC level (nearly two times today’s legal limit). Fast forward twenty more years and a former officer turned professor invents the modern day breathalyzer. Mothers Against Drunk Driving (MADD) takes shape in 1980, a year plagued with more than 21,000 drunk driving crash fatalities. And finally, a measly 17 years ago, Congress adopts .08 BAC as the national drunk driving limit in 2000. Clearly, change–of people’s safety ideals and government legislation–takes time. April is Distracted Driving Awareness Month, also known as déjà vu to those who lived through some of the aforementioned drunk driving timeline. And yes, a social movement is equally necessary. Drivers use their phones on 88 percent of trips, according to a new study by Zendrive, analyzing data from over three million drivers, totaling almost 6 billion miles driven, between December 2016 and February 2017. On average, drivers were distracted by smartphones for 3.5 minutes of every hour. But in just two seconds at 55 mph, a car travels the length of two basketball courts. That’s a lengthy distance to drive distracted. In fact, taking your eyes of the road for two seconds increases the chances of an accident by 20 times, according to the study. Dialing a phone number increases risk of crash by 12 times. Despite these stats, most rooted in credible scientific studies, legal preventive measures lag behind as they did with drunk driving. States like Missouri have little to no public data on texting and driving or overall cell phone use. Springfield car accident lawyer Nathan Duncan thinks Missouri knows it’s an issue since it’s illegal for those 21 and under to text and drive, but remains hesitant to make a large-scale change. His firm recently commissioned a study identifying the most dangerous intersections across the state. While their overall goal was to identify riskier areas for drivers, they also hope it helps the government zoom in on trouble areas and finally spring into action on the dangers behind distracted driving. Texas also has no statewide ban on texting and driving; their governor even vetoed a 2011 attempt saying it micromanaged adult behavior. In early April a distracted driver in Texas crashed into a van, killing 13 people. To find your state’s cell phone laws, visit the Insurance Institute for Highway Safety. And before dismissing this because you allegedly never text and drive, truthfully and unfortunately everyone behind the wheel is a distracted driver at some point. For example, using hands-free devices is still 4 times more distracting than talking to a passenger. That’s because distracted driving comes in three forms: cognitive, manual and visual. While texting targets visual, using Siri still cognitively distracts a driver. Simply eating a burger in the car has the potential to hit all three distraction types- using your hands to eat, looking as you reach for the food and concentrating on not spilling. A powerful study even looked at the differences, or similarities, in drunk verse distracted drivers. Researchers reported drivers talking while holding their phone or through a hands-free device had delayed braking reaction and crashed more often than when not using a phone; drunk drivers followed vehicles closer and slammed on their brakes more. However, when researchers controlled for driving conditions and time, distracted drivers showed greater impairment than drunk drivers. Traffic deaths are also on the rise again- for the first time in four decades. There were over 2.3 million car accidents in 2015 with more than 35,000 fatalities–a 6.3 percent increase from 2010 and the largest annual percentage increase in 50 years. For 2016, the National Safety Council (NSC) estimates fatalities increased by an additional 6 percent totaling more than 40,000 for the first time since 2007. Injuries also jumped up by 7 percent from 2015, estimated at 4.6 million. While some of the increase is attributed to the prospering economy (with more money and cheaper gas, Americans drive more for work and leisure), distracted driving is also a likely guilty party. Interestingly though, government officials and safety advocates also cite more people not wearing seat belts–either correctly or at all–speeding, and yes, drunk driving as major players after all these decades of warnings. Complacency and a false sense of security may actually be the scariest risk to drivers. Parents should use Distracted Driver Awareness Month as a time to reinforce all safe driving habits in their new drivers. Experienced drivers should take the time to review their own habits. Distracted driving may never become obsolete just as DUIs still occur daily, but hopefully notable change comes more swiftly than 70 to 90 years. May is Global Youth Traffic Safety Awareness Month, also dedicated to safe driving with the ultimate goal of ending crash fatalities. Today, car accidents are the No.1 killer of American teenagers- tragically preventable. To help teach yourself and any young drivers you know about distracted driving and overall driving safety, check out these parent and teen driver safety resources. Preview the newest Distracted Driving course in the industry! 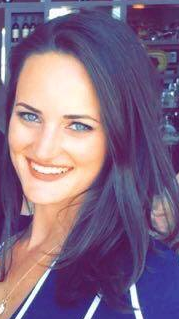 Jenna Murrell is a digital marketing specialist with Safer America, a consumer safety organization. Through data visualizations, interactive content and blogging, we’re working towards bringing safety into everyday conversations.